Egypt's defense minister expected to step down to pave the way for his nomination in the upcoming presidential elections, says local media. Egypt's deputy prime minister and defense minister, General Abdel Fattah al-Sisi, is expected to step down in the coming days to pave the way for his nomination in the upcoming presidential elections, Gulf News reported on Saturday. The report cited the Egyptian Al Wafd newspaper, which said that Sisi’s exit will be part of a government reshuffle in the second half of January that will also see vice president Ziyad Baha’ Al Deen leave his post. 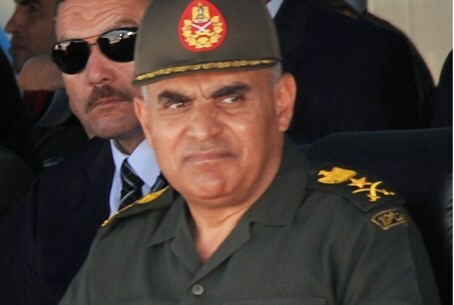 The paper cited "political sources with connections to ruling circles", adding that the country’s Supreme Council for the Armed Forces decided in a meeting on Tuesday to select Lt. Gen. Sidqi Subhi to replace Sisi as defense minister. The local pro-military channel CBC aired a breaking news report on Saturday night revealing that Sisi had decided to run for presidency, according to Gulf News. Sisi led the military’s ouster of Islamist President Mohammed Morsi on July 3. The military-installed interim government subsequently launched a fierce campaign against the Muslim Brotherhood, to which Morsi belongs, leading to violent clashes that have resulted in the deaths of more than a thousand civilians. Prominent presidential hopefuls have lent their support to Sisi’s candidacy, offering to drop plans to run if he decides to, according to Gulf News. According to Egyptian media reports, Sisi is expected to announce his bid for the presidency following a referendum on the country’s new constitution. The already tense situation in Egypt has deteriorated in the past week, since the Egyptian government declared the Muslim Brotherhood a terror organization, sparking new tensions between the military and the Brotherhood's supporters. In addition to cracking down on Brotherhood protesters, the interim government has also confiscated the assets of more than 500 of its leaders.